This year Sami is celebrating 10 years with Circus Avalon. Starting out as an eager little aerialist and balancer, Sami soon added unicycling and globe walking to her growing list of circus skills. With the encouragement of her parents who fully support Sami’s passion for the circus and her mum’s active and effective involvement; Sami joined Avalon’s performing troupe at 9 years of age. One of my fondest memories is when we were an act short for the second half of a show in the big top, Sami disappeared during the interval and came back having created a completely new act that filled the gap perfectly. There have been many times when she has performed tissu, ring and trapeze in the one show, in either a solo or duo routine. Sami holds the Avalon record for the performer with the most acts in their repertoire at any one time. Over the last three years, Sami has taken larger and larger roles in the Academy. From an assistant trainer to session leader, and assistant show director to single-handedly putting together large sections of the Academy’s shows. This process is continuing and she will be responsible for this year’s annual show, with me as her assistant but only at her request. Sami has always had interests broader than circus including gymnastics, indoor rock climbing and, more recently, competitive aerobics. Her aerobics team recently became state champions in their section, and will be competing in the national championships next month. Later this year Sami will be competing in the National Circus Championships as part of a triple tissu act with Amy and Marlowe. 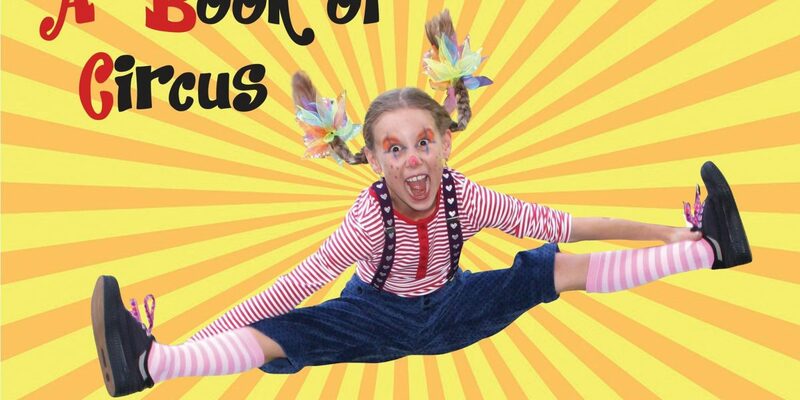 It is a young Sami on the cover of the recently released children’s circus book by Pixi Robertson, C is for Circus. Sami’s longer-term goal is to become a primary school teacher—something for which she is beautifully suited. This dedicated duo has been training together for over 6 years, focusing on balances. Lillian and Ruby work together extremely well and have created skilled routines which they have performed in several Avalon shows. Lillian and Ruby are currently preparing the balances routine they will be performing at this year’s National Circus Championships.